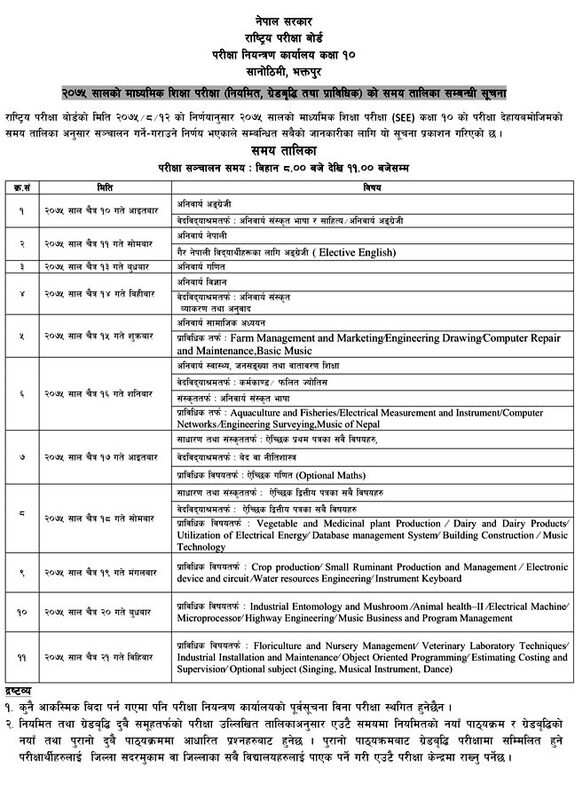 Government of Nepal, National Examination Board (NEB) has published the examination routine of Grade 10 examination (SEE Examination) of province two. This examination was cancelled earlier in the wake of back-to-back leakage of question paper. . Earlier postponed examination will be held from Chaitra 22 to Chaitra 29, 2075. 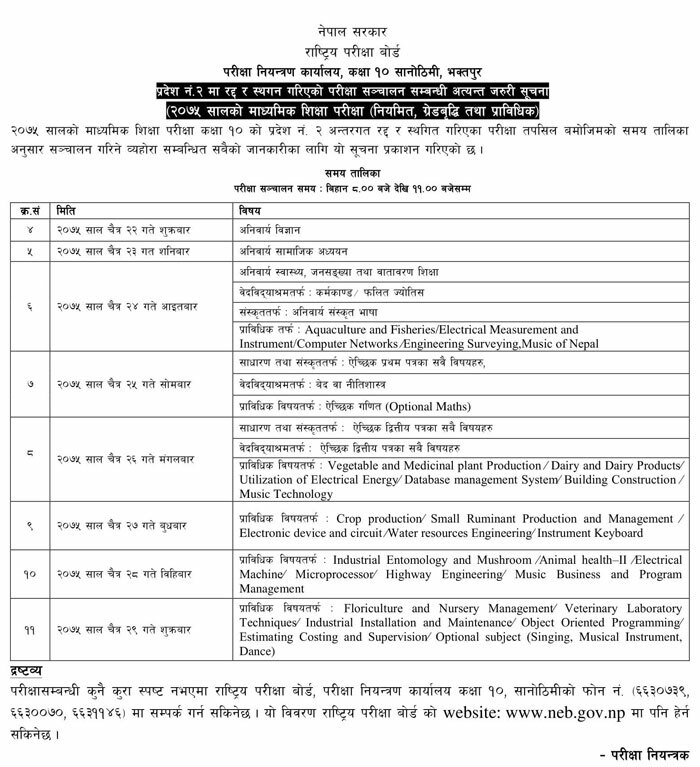 Government of Nepal, Ministry of Education, Office of the controller of examination has published examination routine of Secondary Education examination (Grade 10) 2075 routine (Regular, exempted and grade increment). As per notice, SEE examinations would begin from 10 Chaitra, 2075. The examinations will start at 8:00 am and conclude at 11:00 am. The SEE examinations will end on 21 Chaitra, 2075. As per the schedule, compulsory English examination will be held on 10 Chaitra, compulsory Nepali on 11 Chaitra, Compulsory Math on 13 Chaitra, Compulsory Science on 14 Chaitra, Social Studies on 15 Chaitra and Health Population and Environment exam on 16 Chaitra 2075.